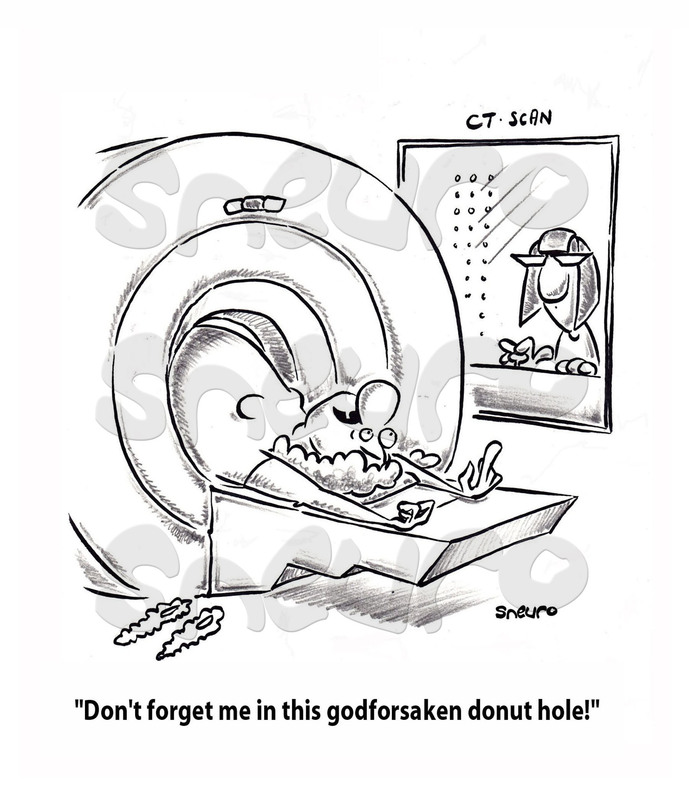 Don’t forget me in this godforsaken donut hole! Everyone stay clear of Pearl when she gets out. The noise, the discomfort, the worry and the incarceration will drive her to neer madness. She may attack! What a test. The CT Scan is a necessary evil, but your glad when it’s over. Believe me, I’ve beeh there. Inside, you’re wondering is this monster going to slice and dice you? Then the machine gun noise starts, and you’re thinking I must be riddled with holes. Plus, if you have to pay for this torture, you’ll be sure to throw your doctor in for a ride if your experience wasn’t revealing.